Our morning leket gathering trip was coordinated by Nefesh B’Nefesh and the clincher that secured my agreement to partake was due to the fact that this trip was to take place in Nahalal. 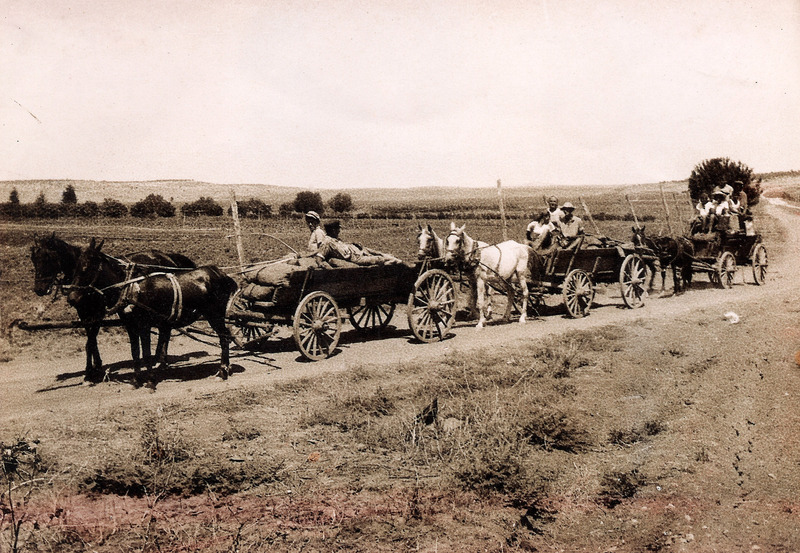 Located between Nazareth and Mount Carmel, in the lush Jezreel Valley, Nahalal was founded in 1921 and was Israel’s first moshav. Having recently read Yael Dayan’s biography about her father, Moshe Dayan, and having read all about Nahalal in the early days when Yael Dayan was a child, I figured it would be interesting to see this famous moshav in person, and to actually work the land, no less. 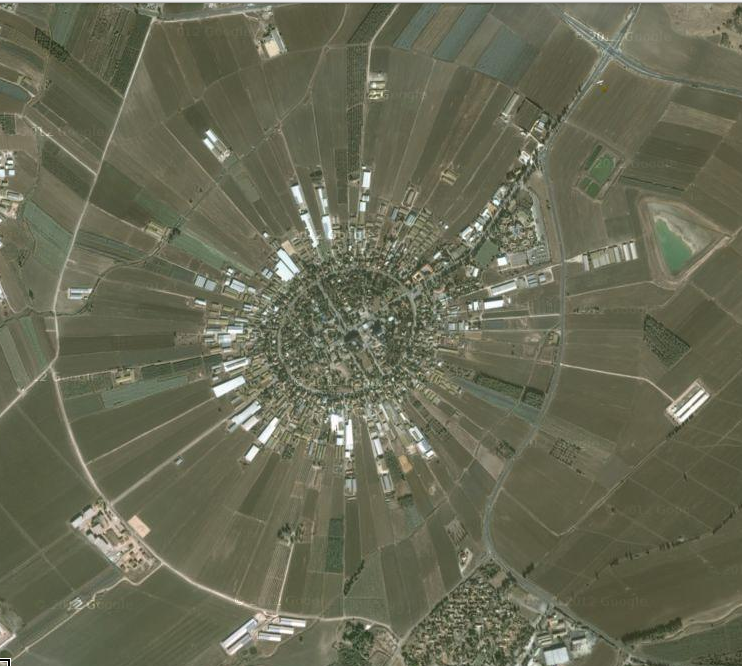 One of the things that makes Nahalal so famous is the circular shape in which it was built up; the families’ houses occupying the centre of the circle with their tracts of land stretching out behind, so that each family had a livelihood. Here is an aerial view of Nahalal these days, taken from Google Maps, and the field where we picked yesterday is in the lower left corner. Now, just to put things into perspective, all of us that gathered there came as volunteers (even paying for transportation) and yet we had not a clue as to what we were going to be picking. We passed tomatoes and beets before stopping at what seemed to be an empty field, furrowed and littered with tawny dead vegetation. 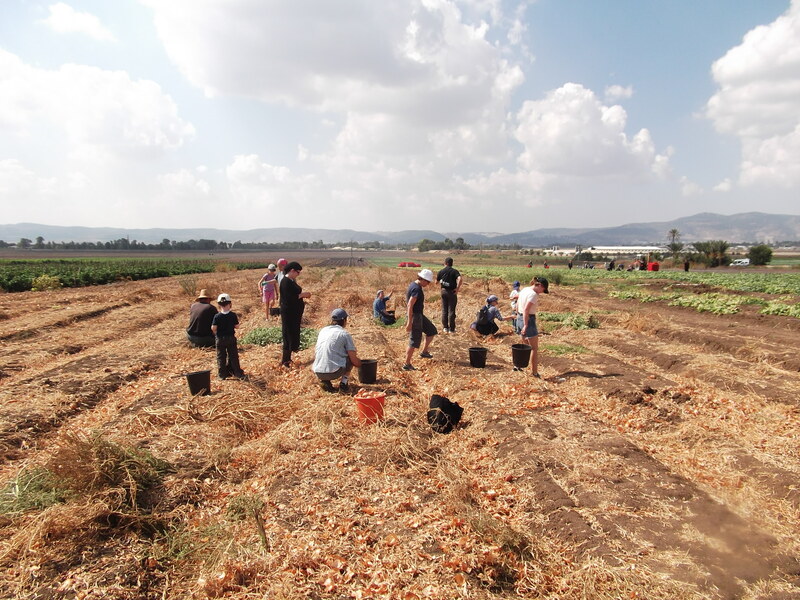 There, Ran, the Leket Israel representative hailing from Kibbutz Mizra, explained to us that we were to pick onions and that the crop of choice varies as to the supply and demand. But after the first crate we were merely warmed up, our clever little party of thirty or so individuals began to ferociously attack the dry, cracked land, producing onion after onion and dispensing them into the correct containers. The sun and clouds played hide-and-seek while us mortals toiled in the fields, having a grand old time. At last the NBN crew called a mandatory break and passed out fruit and cups of water. 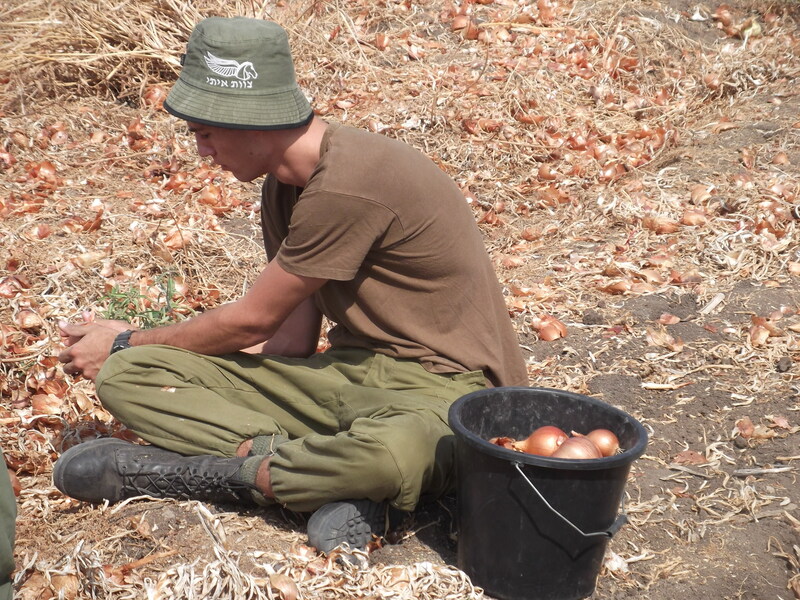 We stood around and were taken by surprise as a group of armed soldiers traipsed by us and began gathering onions as well. 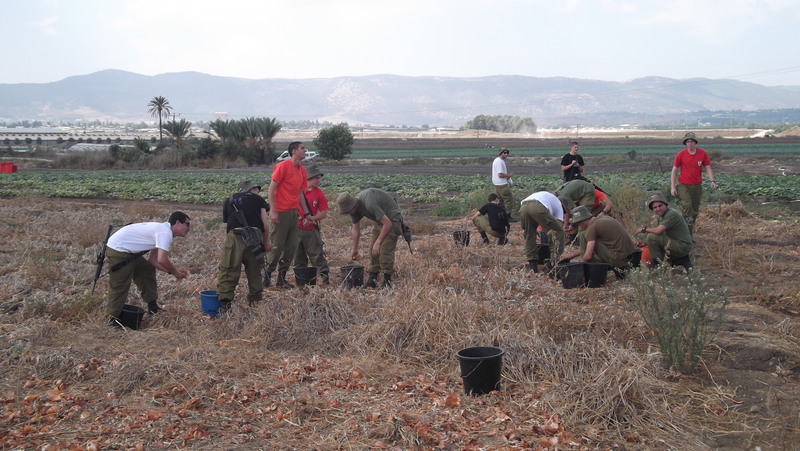 We watched as they stacked their guns and got down on the ground to fill buckets for Leket Israel. With all the goodness that I see streaming from the IDF’s many fingers, I feel glad that I am, at last, going to join their ranks. 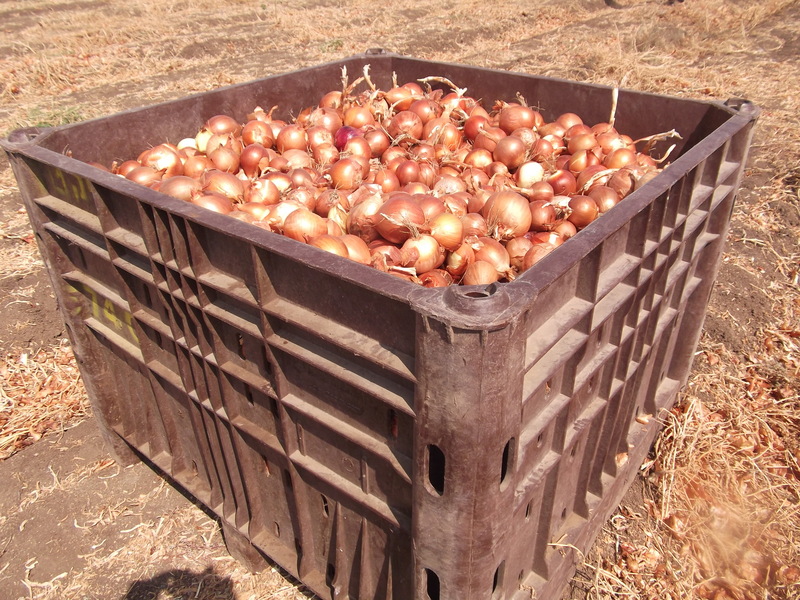 After several hours of picking onions, I personally had filled countless buckets and there were a bunch of full crates. Someone from NBN called back our special transport and we all gathered around to hear a summary of the morning’s efforts. 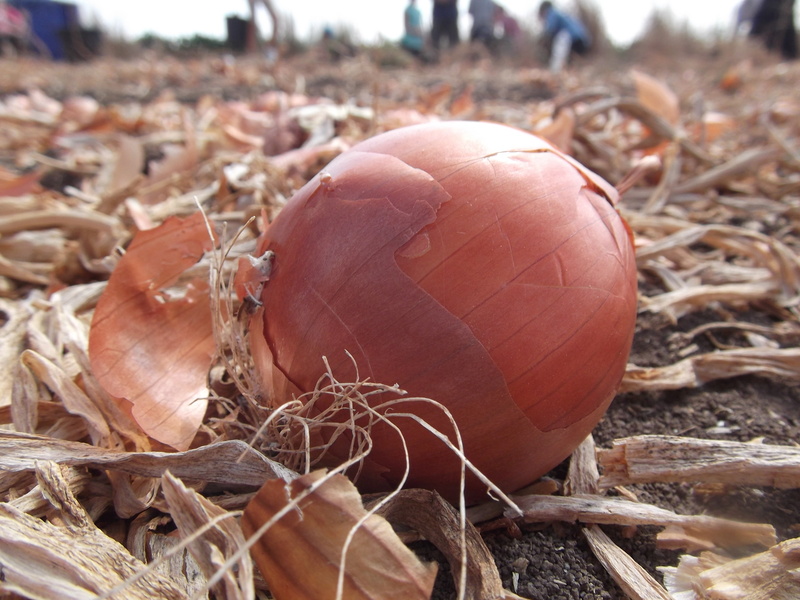 Ran announced to us that we had picked an estimated 900 kilograms of onions (that’s 1,980 lbs, close to a ton). He then told us that 300 families, estimated, would be enjoying the fruits of our labour and that we did a great job. 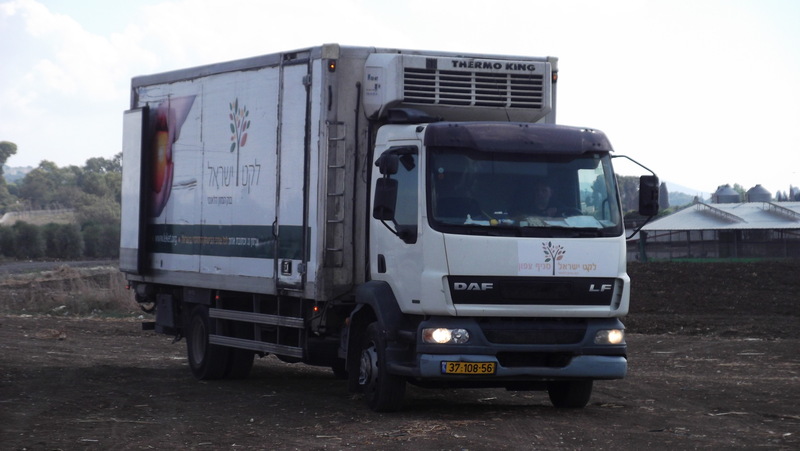 We then returned to our vehicles, feeling good that we helped so many, and I got myself a taste of farming in the Holy Land. I hope that when I’m in the army I get to go leket picking again. Time will tell, I suppose. 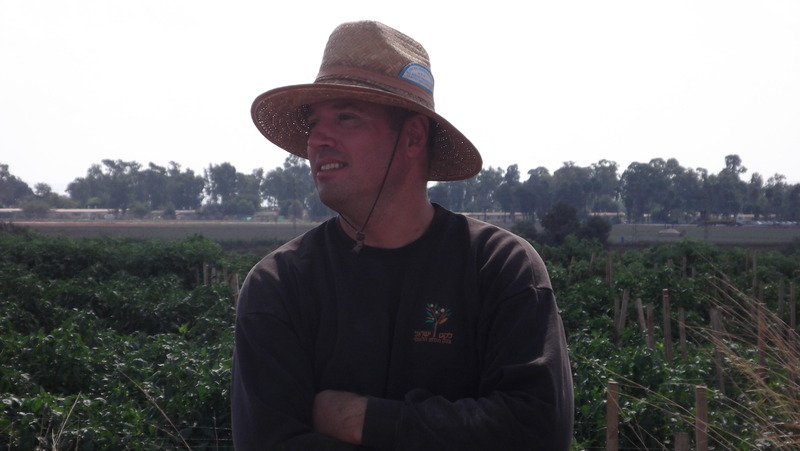 More information about Leket Israel can be found HERE. With only a few weeks left till I start army service, Chol HaMoed Sukkot provides an excellent opportunity to grab a few more trips to blog about. 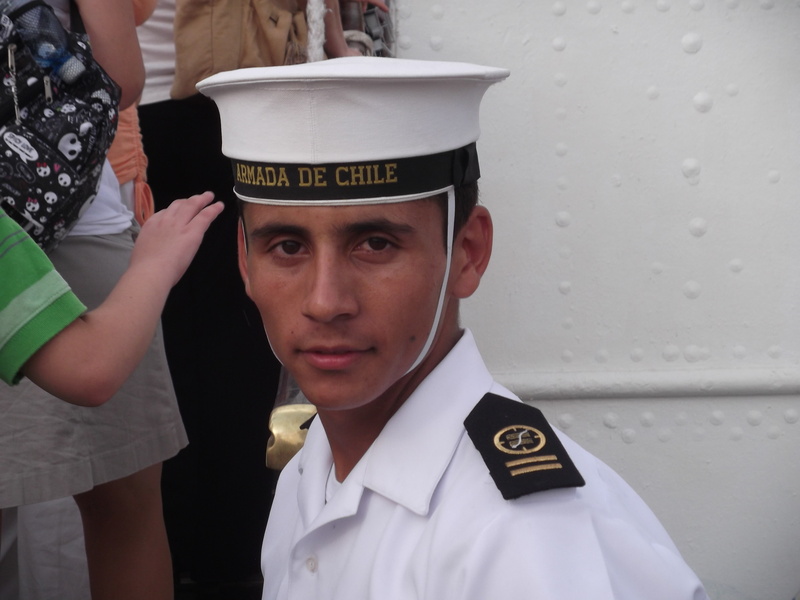 This post is about our family trip to see the Chilean Navy ship, the Esmeralda. 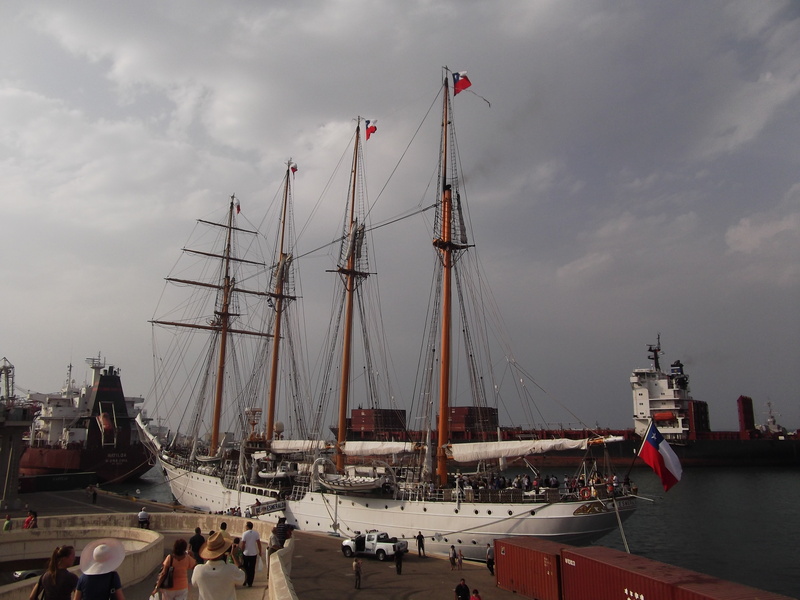 The longest sailing ship in the world, the Esmeralda came to Haifa Port last week and was used to host an Israeli Navy celebration. I happened to be in Haifa that day, meeting an old friend of mine, and was at the train station watching the party ensue on-board. 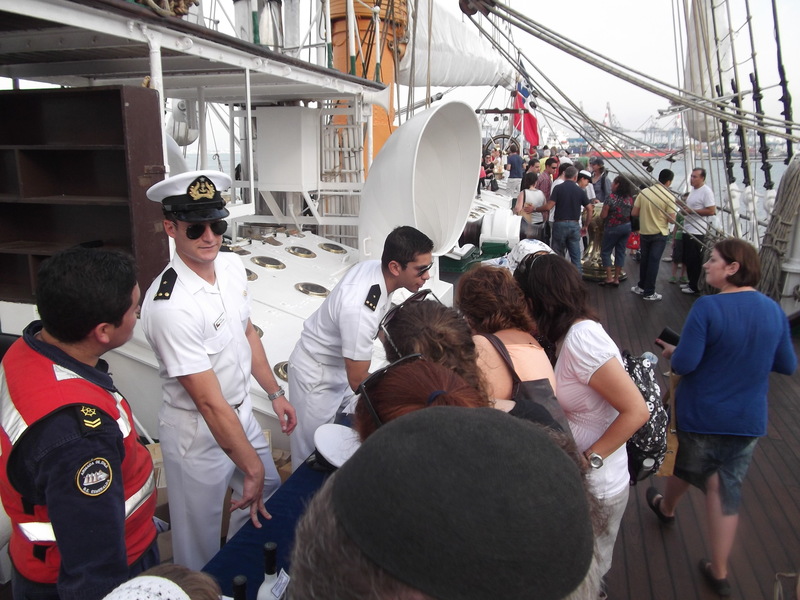 Being a “fan” of the Israel Navy Facebook page I was alerted to the fact that this was a Chilean Navy ship and that it was open to the public for a few days before moving along. 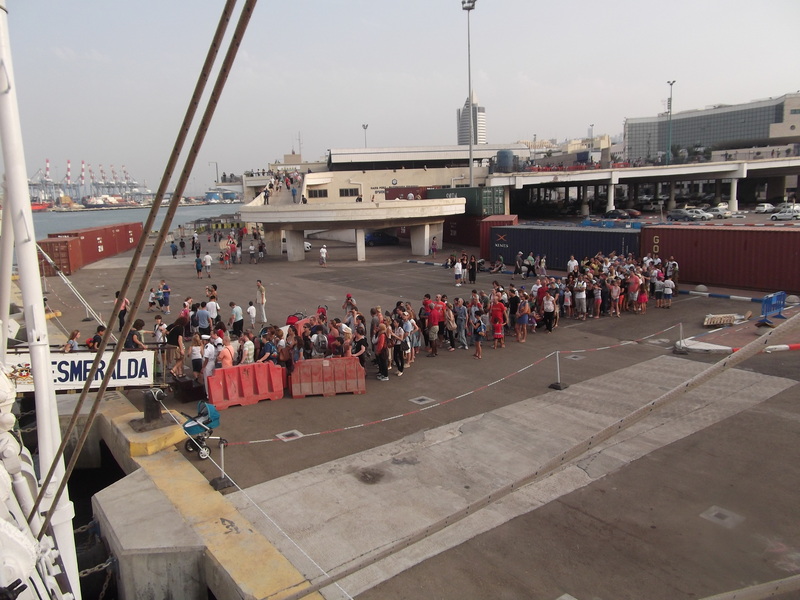 Despite the fact that we arrived before the public visits start there was still a very long line and it took a while before we made it into the first section of the port. There were four waiting stations, as I like to call it and at the latter ones many good photos of the port and the ongoing maritime activities were taken. 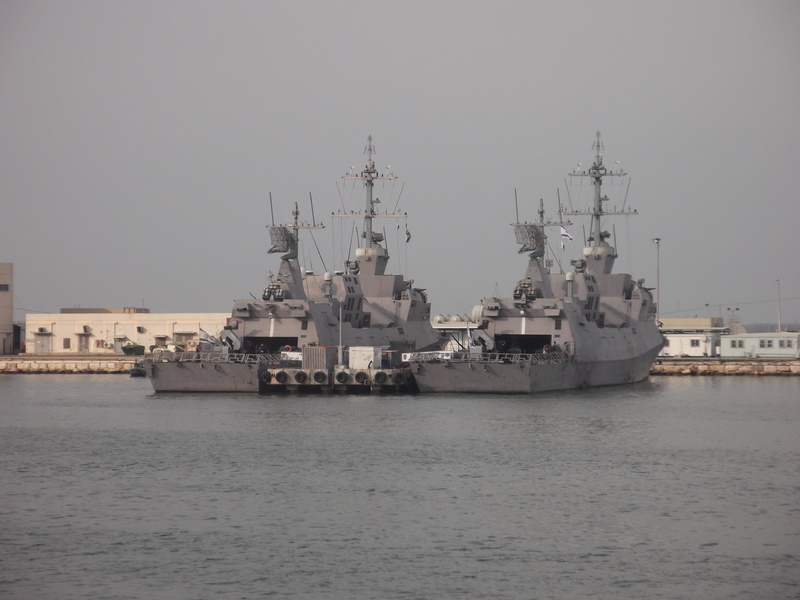 Later on-board, when I asked one of the sailors where they’ve been, he informed me that they had just come from India and were heading next to Turkey. 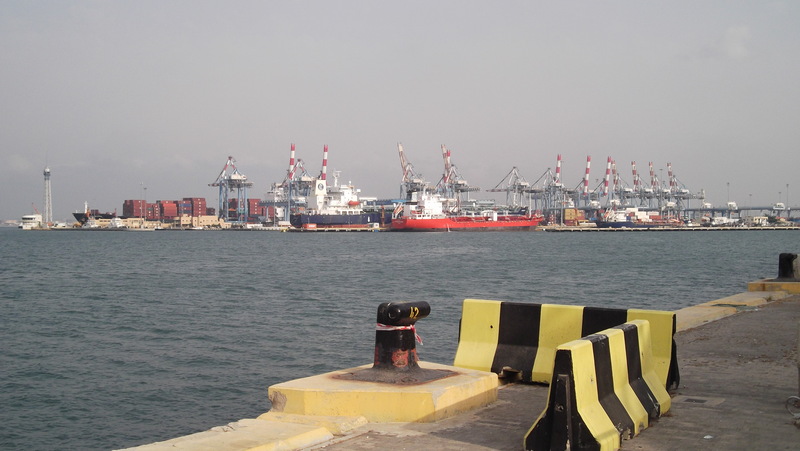 Being that yesterday was the last day in Haifa Port, the Esmeralda is cruising the Mediterranean now, headed for Turkey. 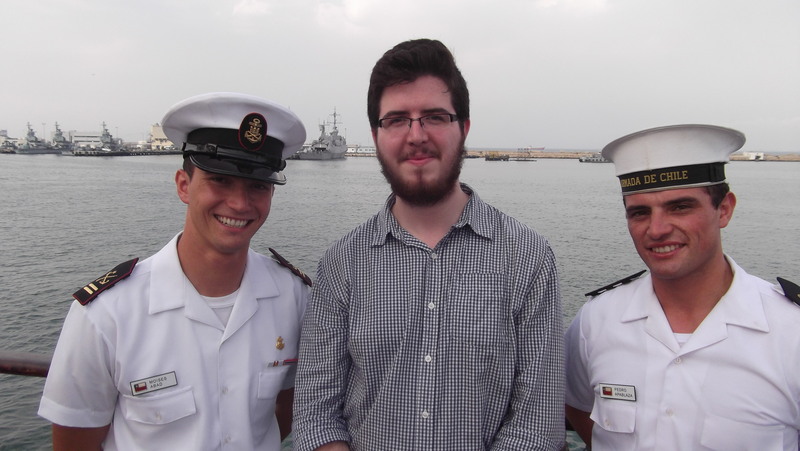 And here I posed with Chilean sailors Moises Abad and Pedro Apablaza (I want that surname!). Moises Abad wasn’t sure if he was Jewish, but his name sure sounds judío. On the starboard side of the ship there was a table selling souvenirs and I got a t-shirt that commemorates the Esmeralda “circling the world” tour. 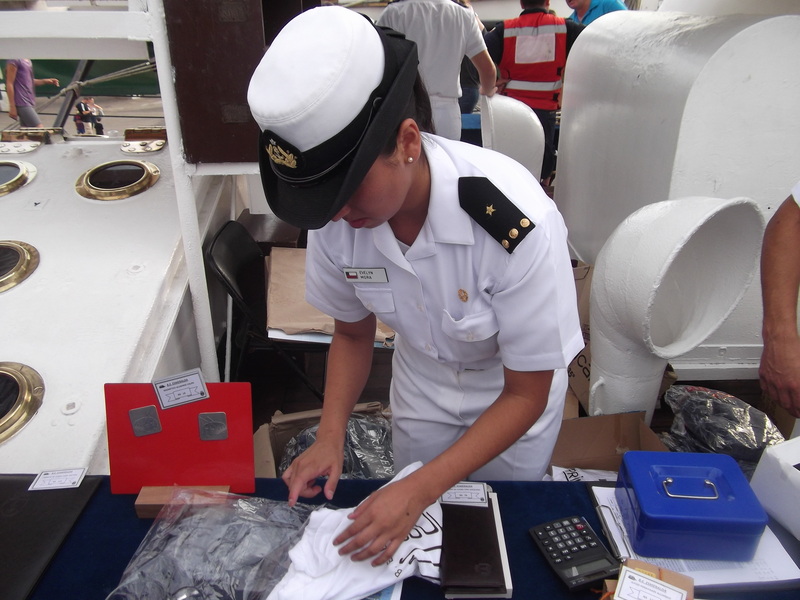 Even though it was labelled size M, Midshipman Evelyn Mora was certain that the shirt would fit me… so if it doesn’t I know who to complain to. After thoroughly examining the 371-foot long ship we headed for the gangplank to walk the plank off the ship… and back onto the dock. On our way we marvelled at the line which got bigger during the hour and a half that we were on the ship. 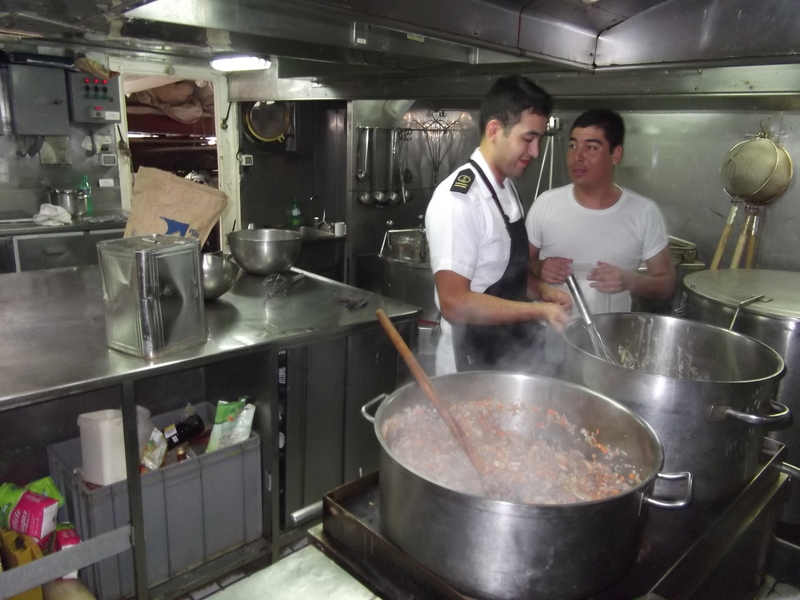 But before disembarking the vessel I poked my hand into one of the ports and took this photo of the kitchen. The crew’s lunch was cooking and, I must say, it didn’t smell good. 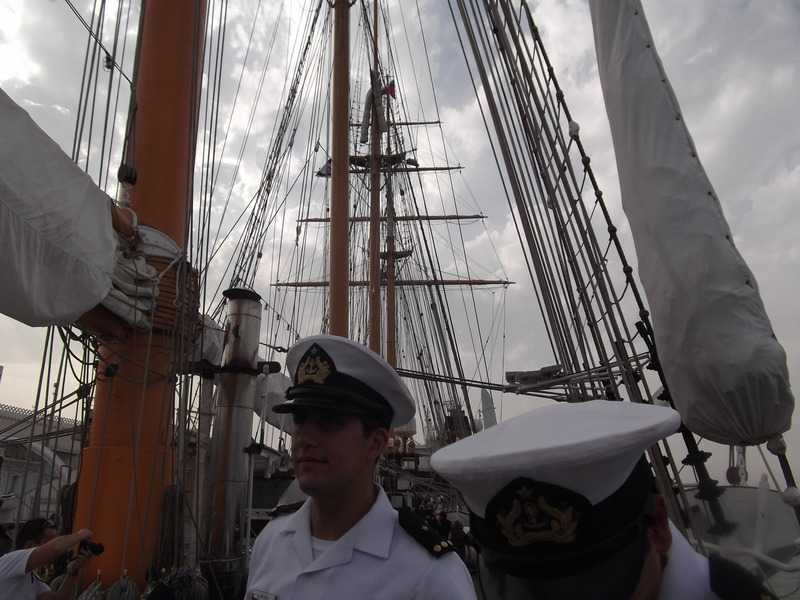 Aside from the unappetizing-smelling lunch, the visit to the Esmeralda was very interesting and unique and the sailors and officers very courteous. 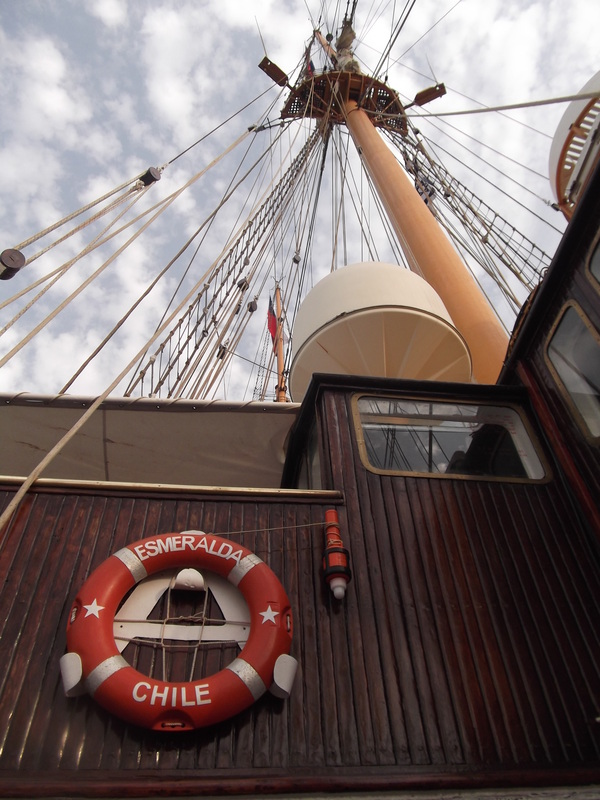 If you, o’ reader, would like to board the Esmeralda I’d suggest you fly to Turkey ASAP or arrange something with the Somalian pirates… in which case the Chileans wouldn’t be as courteous. 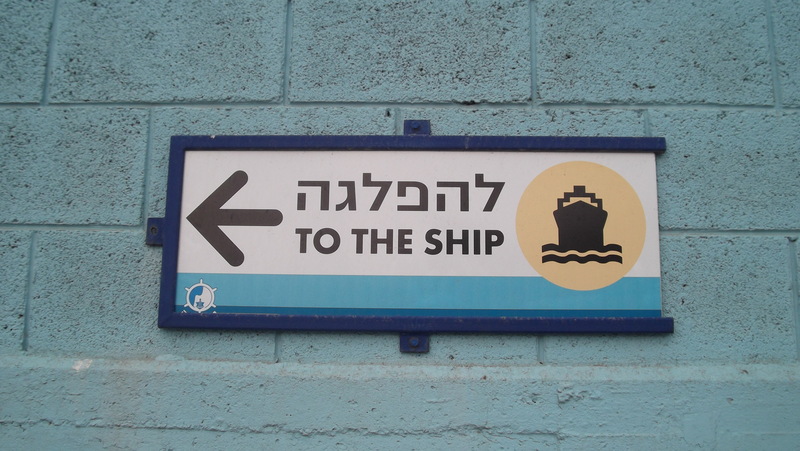 Or, better yet, maybe they’ll come around to Haifa next year.